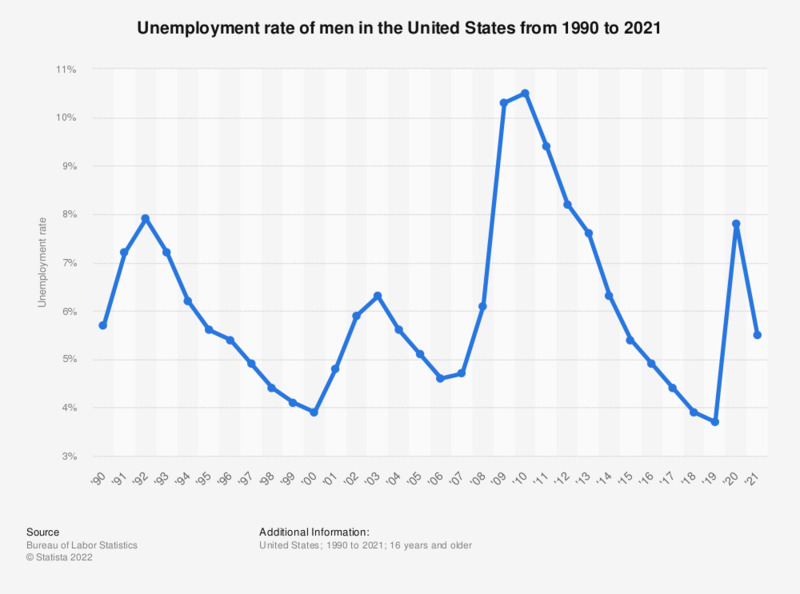 This statistic displays the unemployment rate of men in the United States from 1990 to 2018. Unemployment of the male labor force declined to 3.9 percent in 2018. Statistics on "Men in the U.S."
If you were taking a new job and could choose your boss would you prefer to work for a man or a woman? Will you celebrate Father's Day this year? How much money do you plan on spending on Father's Day gifts for your father or stepfather?